We come forth now in this hour of your time to offer you some higher perspective on the recent energetics that are taking place in the timeline of the blue ray illumined first wave twin flames. We come forth with some very important news that great changes are very much abound in the operating systems of all twin flames at this time, and with regards to the ones that identify as being the matrix twins a great deal of transformation and alignment is occurring within their energy fields at the moment, aligning them with their own higher selves. This dispensation of higher frequencies is very much related to the activation of the kundalini energies that have been stored in the earth's unconscious fields, and are now being reawakened by the intense solar flare activity, and vast changes within the electromagnetic biosphere of Gaia, and this is being pertinantly experienced in the time lines of the matrix twin flames at this time. Beloveds it is extremely important to remember that this Soul contract that is encoded in the deep recesses of your heart to be in physical earthly union with your beloved twin flame is an intention that has been decreed by the higher masters of light. 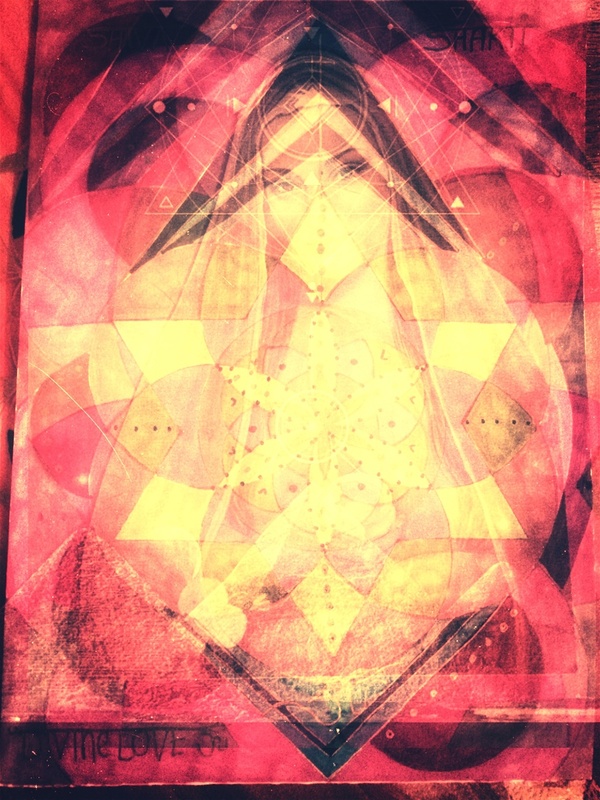 And these heart encoded destinies have been decreed to assist Gaia in birthing and implementing smoothly the higher Ascension frequencies that her energy field is inevitably expanding into. Indeed the timelines for many of the Blue Rays are specifically highlighted in this energy gateway of solstice up until the blood moon in September. Nasas own website has information on the vast changes that are occurring within the magnetic field at this time and the graphs show an extremely potent upgrade Within the earth's biosphere as we speak, which is set to peak in late September. All of this is an alignment with the matrix twins timelines of coming into their awakening for the time of the 28th september blood moon eclipse. beloveds this is beyond you and your ego desires for a relationship and we truly cannot reiterate that enough. This is the most challenging yet exquisite path a soul could ever take and it is only when we are holding ourselves and are completely at peace with our reality exactly as it is that we are able to join successfully with our twin flame. This timeline has been decreed to be a time of profound coming home for the matrix twin flames and their role on this earth is of paramount importance. They have always been eternally plugged in and in direct receivership of the higher 5D consciousness that their spiritual twins have been residing in, which has insured their energetic field is already primed and toned and ready to receive the higher ascended frequencies that are aligning for them. The journey home to the beloved is an internal one and the greatest key to realisation of this earthly union is to know deeply that separation is a lie. Separation does not exist. For the love mother father God co created for you exists eternally in the source of your own heart consciousness where the timeless dance of you and your twin flame is for ever expanding into evermore greater experiences of love. The love that your soul seeks is here and now. just scratch the surface of this 3-D reality and all the unbelievable signs and synchronicities are forever revealing that this reality exists and has very much formed a cohesive divine Union template beyond Maya's Veil. This love is eternal and this friendship with your twin flame is a true eternal friendship on the higher dimensional planes of reality where there is no separation and there never ever has been. A note here to those whom identify as being in a scenario where one twin appears to be running..... With fervent ardour we usher forth this divine truth that your twin flame can and will never run from you……………... on the eternal planes of consciousness and in the silent chambers of your heart, is where you will find him attending the sacred fire by the altar of your holy I am presence. She is eternal and will be the one to greet you at heavens gates, just as she is available to meet you now in the Zero point field………... in this eternal moment of now where your consciousness is forever united and entwined. We very much understand that it can appear as though your twin flame may be running from you from your human perspective.......but beloveds when you stop running from you, and realise that the love you seek has always been in the safest place God could think of to place it and that is safely within your very own consciousness, a great smile will permeate from your being and the radiance within you will be ignited as one will have come home to the ever abiding truth of one's twin flames presence on the inner and eternal planes of consciousness. Beloveds this is the eternal light that your soul takes with you on into the next world and beyond......only that. You are the source of love, you are the place where True Love has met and married, and this merge is forever taking place within your very own being. there is no separation from your twin ever. This is an extremely destructive idea created by the ego self due to the trauma of her descent into physical earthly form and from the seeming split off from source energy. This is a Lie. which has been perpetuated by all those whose consciousness has been imprisoned and deeply entrenched within the 3D Maya. Beloveds the truth can only ever be located through the higher heart consciousness. and we come here tonight with this reminder that you are that. You are that which you seek and your beloved sits on your shoulder showering Jasmine petals into your energetic field at every opportunity he can. You are loved and cherished AT ALL TIMES. This love that is your destiny is not outside of yourself and it never ever has been. it is within you and it yearns to be accessed through your own relationship to your own God self. For that is how God made you, and that is how your energetic field activates it's dormant superpowers that draws the twin flame into the physical plane. The timeline for the Blue Rays is coming into extraordinary alignment with a full dispensation of profound grace coming through now from galactic central and is particularly working on the energy field of the matrix twin flames at this time. Successful twin flame union is very much dependent on being 100% free and content in your life exactly as it is. There are no shortcuts to twin flame union and there is nothing that will fill the void other than your own connection with your I am presence. In that alignment the potent frequencies of wholeness and completion permeate all aspects of one's consciousness and this creates a fertile garden for the seeds of successful twin flame union to prosper and grow in your hearts and thus life. On this sacred journey it has become extremely apparent that the ones who are most profoundly resonating with these channelled writings and who are coming forward for personal one-to-one sessions are the ones that identify as being the blue Rays. Dearest blue Blue Rays it is our most sincere honour to serve you, and be a loving and guiding light at this time, on this most exalted journey that you are on. Please understand that you are not alone and there are many others out there right now like you who are having all these powerful awakening twin flame ascension symptoms. Beloveds let's join our hearts together now all 144,000 twin flame light worker pairs, all united now in our perfectly aligned grid points, deeply assisting Gaia and all her children as we visualise mother earth spinning now as an illuminated golden sphere in the centre of this great circle of 144000 twin flame pairs. Knowing we are greatly and profoundly assisting her at these times to clear out the dense energies that have accumulated in her energy body. as we all focus on this In our minds eyes.this is activating these light codes within her earth/soul memory matrix. 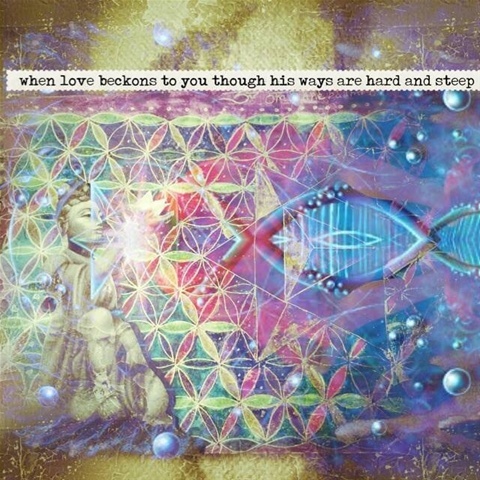 Feel the great love and support that is available for u now as you attune to the knowing that your beloved is beside you, his higher self's presence is stroking your aura and singing your Soul Song back into your heart right now. These are such powerful times we are living in, and may we are all remember that we are the sacred authors who have been sent forth to write our sacred love stories back into being. Empowered co creators we are. I love you all..... please feel free to reach out for a session with me, I am bearing witness to some extraordinary miracles in the timelines of the people who are coming for sessions and I am truly humbled and blown away, as I never expected such miraculous results so fast. But there is a consistent message coming that these twin flame soul alignment sessions are triggering and activating profound source healing into the timelines of many of the twin flames who come forward to receive this sacred work. Blue Rays your tendency has been to feel alone and like no one understands you and no one can help you. But trust me beloveds There is support available for you on an extremely potent energetic level through these sacred writings and these blessed healing and profound clarification sessions. Please come and receive the divine guidance support and miracles your soul is calling for, that your twin flame union may manifest swiftly and triumphantly onto the earthly plane. The earth needs us now to be ready for this gateway in September. We Would like to take a moment to thank all of you for the most incredible response we have had from creating these articles and energy reports, many many of you have written to express your deepest heartfelt appreciation to us for these channelled messages, and we are truly grateful for all of you who show up regularly to receive these sacred transmissions. We are very very excited about the coming times for the illumined twin flame community, indeed there are many changes taking place within the energy fields of the masculine counterparts en masse now as we speak. We come this evening to offer you some insight and higher perspective regarding the recent energetics taking place on Gaia at this time whilst the the full moon is forming in Capricorn.This time line is aligning with an ascension gateway whereby the highest divine masculine solar particles are profoundly infusing all of Gaia right now, These proundly powerful divine solar particles are working specifically with the twin flames on the planet who have been predominantly aligned with the masculine vibration. 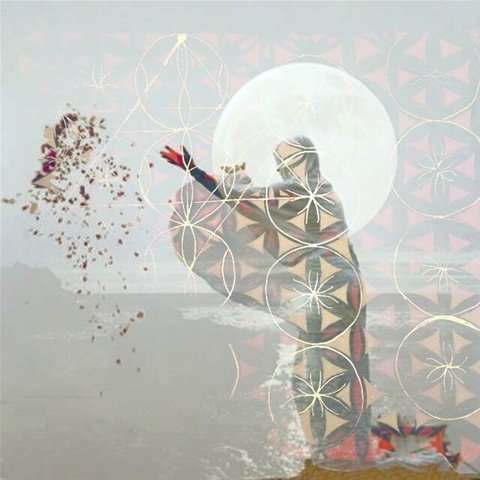 The full moon in Capricorn is shning a powerful cosmic spotlight on the most limited and entrenched aspects of the matrix twins consciousness right now, to deliver them to their coordinated positions for the time of the lunar eclipse in late september. This full moon carries within it a portal of profound grace for the matrix twins who have demonstrated a profound courage and bravery from a soul perspective to be the aspect of the twin flame pair to step forth, knowing that until the the time of their personal ascension their consciousness would be deeply entrapped in the illusion of maya. We come to speak to you about the energetics that are taking place between the matrix twins end the spiritual twins at this very important time, And we are here to deliver a message that the matrix twins are aligning right now with a time line which will see a major upgrade for them at this time. Indeed many of them have entered a profound chamber of light which has been specifically designed to transform their old operating system that has been running their reality…... and they are now very much receiving an entire upgrade of their hitherto previous operating system…..they are being unplugged from the virus programme of the matrix and being re plugged back into their 12 strand Christ consciousness DNA matrix patterning. We are specifically referring to the group that are the 1st wave illumined blu ray twin flames. 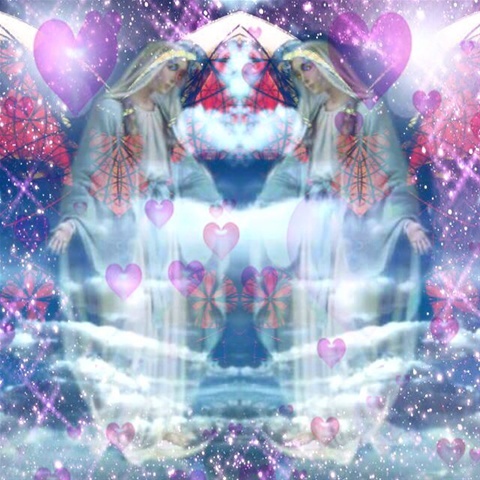 This is an extremely important message coming from the matrix twin flames at this moment and they are requesting an ever deepening trust in the intelligence of the divine plan, and all the ways it unravels itself……. Trust now that all the signs and synchronicities would not be happening if they the matrix twins were not 100% committed on the 5D level. Trust God, and trust in the higher plan, there are things going on at this time which you cannot comprehend with your limited 3d consciousness, As much as possible remember the whole picture and trust in the divine plan, as it knows what it is doing to bring your twin flame back home to your earthly arms. Beloved Remember that the full moon is always a heightened time for clearing away any old blocks that resurface by remembering to call upon the violet light to wash and cleanse you ever deeper on this journey. This is the time now to get clear about your intentions and set clearly defined goals to the universe. Self-love is always the key especially at these times of heightened light activity we are being called upon to cherish ourselves and hold ourselves now more than ever, that we may receive the unconditional boundless love we have always craved from our beloved. Remembering to bring into our meditation recollection of the frequency that which we seek and know is our destiny, has now already manifest. beloveds the higher self of the matrix twins are aligning now with a stream of profound healing and synchronicity that has been specifically designed and engineered to bring them home to the eternal truth of their heart, that they may unite with you, there beloved spiritual twin, in the place that they promised you they would. The spiritual twins are being called to dig deeper into their connection with source energy at this time whilst eternally standing under all lost or separate aspects of themselves, offering them the unconditional love that they are truly worthy of. Spiritual twins you are being called to step up now into living mastery template, and align fully with your I am presence. 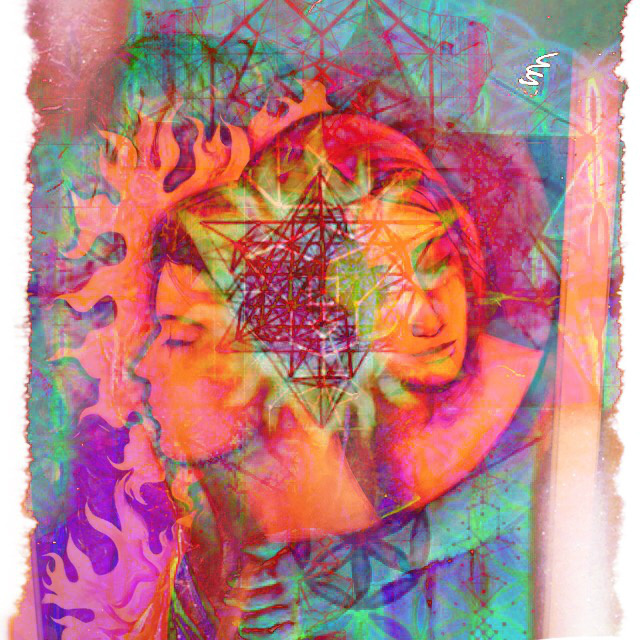 Whilst evermore aligning your beingness to the point where you are no longer triggered…... for the core abandonment wound has been licked and is being eternally licked by the living fifth dimensional essence of your beloved twin flame. 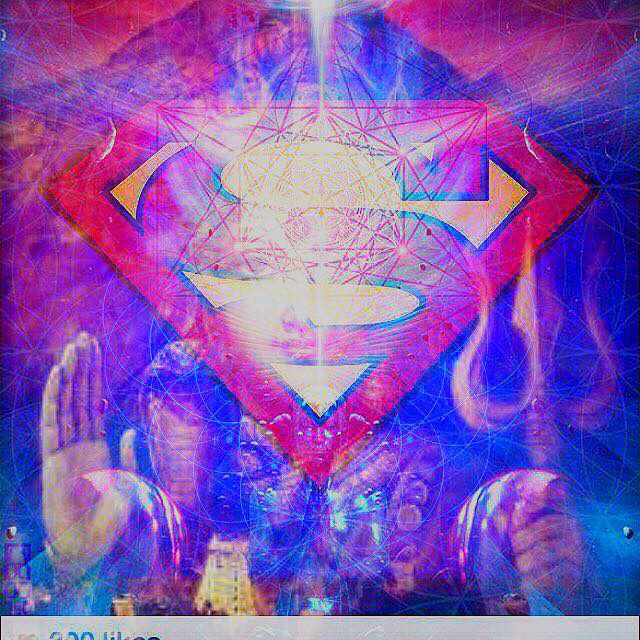 You will observe now that the matrix twins are coming online in unprecedented ways, as this particular energetic gateway has been ordained by the highest masters of light to be a time of en masse illumined twin flame awakening….. therefore the matrix twins are receiving right now the exact soul medicine that they need to unite them with their higher self, and ultimately at perfect timing with you their beloved spiritual twin flame. If you are still holding doubts or fears around your twin then you are not ready to be with them. when your heart is simply overspilling in gratitude for life exactly as it is in this moment. This is the pivotal point of transformation where that which was seen on the inner planes becomes visible to one's earthly eyes. Beloveds believe us when we say there is no separation from your twin flame and there never ever has been. Rest deeply now in your hearts deepest knowing of this, and bring your attention to the softness of this present moment where all that is hums her sweet song into our receptive hearts. Throughout all of nature she holds you now, and your heart is precious to her, she is your resting point, this now moment welcomes you home beloveds. This is where you will find that you are eternally United with your twin on all planes of existence as it is within so it is without, the primary axiom of all matter in this universe. receive these words as a transmission from the heart of all that is, you are heard and you are held and you are not alone, the veil upon Gaia is a thinner now than it has ever been and that is in perfect accordance with the Divine plan. We your angels and guides are ever more available to you, to carry you, and stroke your precious cheeks. we love you, and we pray you feel our love on this Day. that you are heard, and you are loved, there is no thing that you your heart desires that hasn't been already granted to you by your higher self, and we come forth with a reminder to you that it is your soul duty to align with this all pervading omnipotent truth, in order to energetically align physically with that which you are experiencing on the inner and higher planes of consciousness. We come forth with this transmission today, with a message for those that identify as being the spiritual twins within the twin flame energetic unit, and our messages are a fervent reminder to you that you are predominantly carrying the activated and awakened fifth dimensional ascension frequencies within your twin flame coupling, therefore in order to ensure successful earthly union with your twin flame it is imperative that you stabilise and anchor in this higher 5th dimensional consciousness. ~ All searching and seeking for the twin on the external level is transcended moved through and released. ~ An ever abiding and expanding sense of deep gratitude and celebration is experienced consistently, and a trust like you have never know has now become your very best friend. ~ Your 5D connection with your TF is firmly anchored, and the telepathic channels that connect you are operating on a high optimal level. ~ The only desire is to serve. this even transcend your desire to be with your twin on the physical plane as your heart is so infused with the eternal extraordinarily powerful 5D Union frequencies. You are 100% aligned with God source energy which naturally seeks to pour forth in service it's sacred nectar. ~Your energy field will be extremely magnetic to sensitive, empathic souls and especially children and animals. they will smile at you and want to be near you whenever you are around. ~ The search is truly over. the destination has been reached. This moment of now is the Alpha and Omega and the answer to all your prayers. There is a profound anchoring in present moment consciousness and there will be a fervent commitment to emphasising prioritising the space from which all temporary thoughts/phenomena arise as opposed to getting lost in the emphasis on the interpretation and feeding of those temporary thoughts. 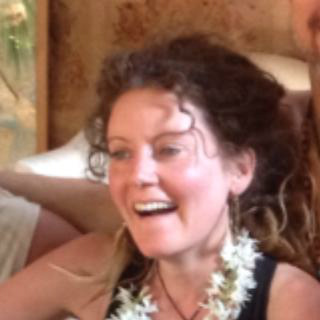 ~ One will experience and know a deep joy that comes from genuine and authentic reunion and connection with their eternal beloved on the inner planes of consciousness, which will awaken all the Dormant ascension codes particularly in the pineal centre and the high heart consciousness, which will catalyse within one's consciousness profound visionary capabilities through direct access and alignment with the zero point field, which is aligned with through the meet and merge of the twin flames on the higher fields of consciousness. ~ as the twin flames energy fields merge back as one there will be no doubt or questioning about whether this is a genuine twin flame connection or not. doubts will have ceased as illumination will have exposed all doubt to be a great hindrance and energetic resistance on this God ordained path to successful twin flame Union. ~ you will be aligned with helpful practices such as meditation, regular time in nature and a pure diet with an emphasis on remembering that you are extremely sensitive beings who cohabit a world where they are many distorted frequencies flooding and bombarding the 3-D consciousness fields. awareness of this precedes the necessity to practice calling on Archangel Michael and his blue cloak of protection to protect and shield one's energy field everyday. Spiritual twin flames this is your time now to step into the living masters that you have incarnated to be. Yes you….. the one reading these words, there is a reason why your higher self has guided you to these words and that is because you have signed up to be on the frontline of this first wave of Ascension. Beloveds allow, accept and gracefully receive this direct recognition of who you truly are. Your task is not to change or fix anything in yourself or your twin flame or this world, your only task is to Love……. fundamentally and primarily love yourself, love your inner child who has had more knocks than she would care to remember, love the part of you who felt abandoned by God and all those past lovers. Love the battered and bruised but yet incredibly awesome end resilient aspect of yourself now. The good news is that the comfort and the healing that her soul truly needs to Heal from all those bruises is available to her right now, beyond the frequency band that is known as 3-D consciousness. where all that comes and goes is but of the temporary realm, beyond that there is an eternal love that mother father God promised you would always be available, and it would be held in the safest place in the universe and that is within your own heart and your own soul, ever available in this sacred moment of now. Remembering this beloveds is the roadmap and the key to successful twin flame union. it is not possible to co create this without a deep stable abiding homecoming with the eternal Sacred presence of divine love that exist in your own heart field in this very moment of now. The search is over as that which has always been….. shall always be. It is this love which has been sent forth to carry you home. It is easier than you believe. Begin earnestly saying thank you to that which you know to be a living energetic timeline on the more subtler planes of consciousness. greetings of the most high on this most high auspicious day where upon your earthly plane you celebrate the feast of one of our most pristine queens of heaven Lady Magdalene. This feast day acknowledges the great work this most precious queen of heaven does for humanity and we would like to come forth now with a direct message from lady Magdalene herself..
“My dearest beloveds thank you for allowing me into your heart space in this moment that I may come forth to offer you some words of encouragement at this pinnacle point in Terra Gaia's evolution. Beloveds I am present for you, and alive, and thriving in the deepest recesses of your heart, in the silence of the darkest chambers of your being, you will find me there, forever singing your song of union back into your heart. I come to deliver a message to you that the great work you have all been doing, and are doing is achieving the most spectacular results on the higher and more subtle dimensions of reality. and though it may appear as though you are in a state of physical separation from your twin flame nothing could be further from the truth. Blue Rays you're ready now to receive this love into your physical earthly life now. This love that you have all been preparing for in such an earnest... is done….. and now is the time for its actualisation upon the earthly plane….. my dear ones this day holds a great blessing for me as my energetic beingness is allowed to penetrate many fundamental aspects of 3D consciousness on this day and In this dispensation of grace you are also privy to the direct transference of my own divine union template with my beloved Yeshua who stands by my side now as he has always done since the beginning of eternity. He stands by my side as my highest and holiest heavenly consort and our union is the divine union template which our mother father God self has decreed will bring full healing transformation and restoration back to planet Earth. Beloveds receive these words as a direct knowing from your higher self triggering a rememberance of all the sacred codes you have come here to actualise within your twin flame union. The codes of 100% freedom, commitment, and eternal and abiding unconditional love. The codes of loving the beloved in an holistic way, as divine parent and divine lover. For you all are also divine representatives of the parental aspect of your higher self which has been sent forth to love your twin flame back to life. These are deep and important words that we share with you tonight in order to remind you of the purity of the essence of this union that you have come here to actualise. The divine union template is unlike any other 3rd dimensional template of relationship, as the very essence and core foundation of this connection is pure and abiding freedom. for pure love is free and if your love isn't free then it isn't pure. Freedom in divine union equals trust. equals trust in God, equals trusting your higher self and trusting your beloved. Trust is the cornerstone for all sacred and sustaining twin flame union. tirelessly behind the scenes with you and your beloveds highest selves right now to bring you into alignment for this particular energetic gateway. Beloved's mother Gaia is transforming rapidly at the moment and there are lots of changes going on within her magnetic field and the biosphere of the planet. It is extremely important now that twin flames stay energetically 100% in Union at these times as this is the fundamental prerequisite for this energetic timeline which has been decreed by divine timing to be a time of many blue Ray twin flames coming into full recognition of their divine counterparts. You're staying and resting in 100% energetic union is vital to keep your vibration at a level which is sending out all of the necessary signals to the 3rd dimension to bring your union into physical reality. Please understand beloveds this is a very important message that we are delivering to you tonight.